Is This The Craziest BMW In The World? This sports car is barely recognizable from its stock form. The BMW Z4 GT Continuum by American tuning company Bulletproof Automotive is one of the highlights of SEMA 2015. The tuning company took an unmemorable Z4 and turned it into a monster. The sports car features an entirely custom body and has been modified to have an open cockpit. At the front of the Z4, Bulletproof Automotive designed a custom bumper with reshaped air intakes and dual canards on both sides. 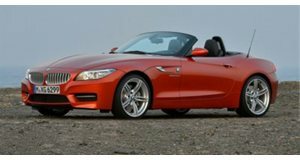 The Z4 also received widened front wheel arches and a bespoke hood. The front end looks extremely aggressive, but the back end is where the magic is. Working towards the back of the car, the Z4 gets new side skirts, new wing side mirrors and matte black side-exiting triple exhaust pipes. This Z4 looks absolutely incredible, but the rear end is the best part. The sports car has an enormous rear wing with protruding fins that would embarrass racing cars.